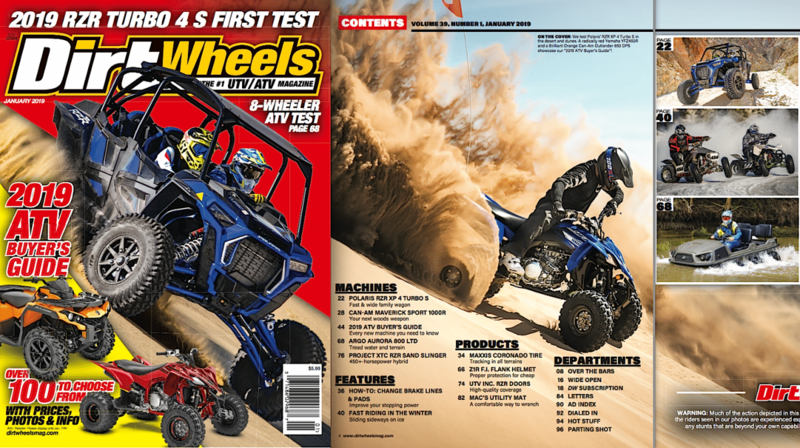 This is one you’ll want to make sure you get. 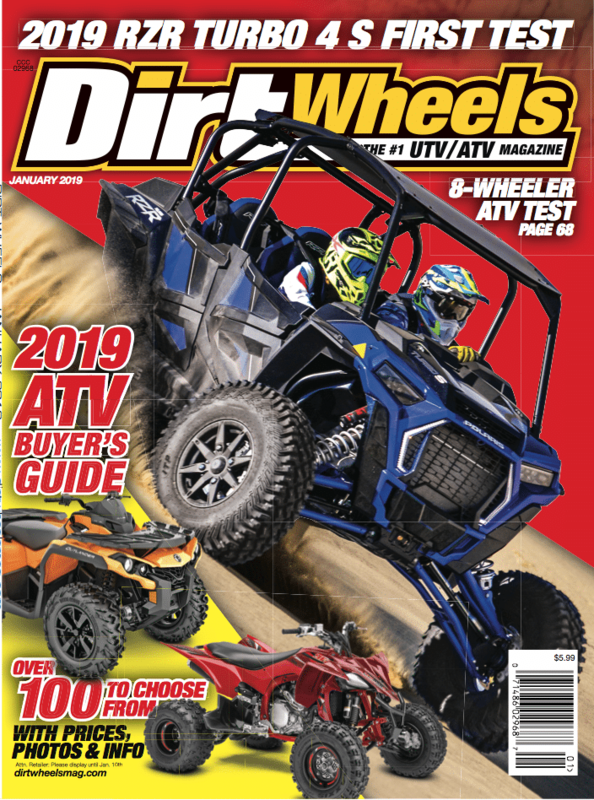 It has the 2019 ATV Buyer’s Guide inside, with over 100 models to choose from. 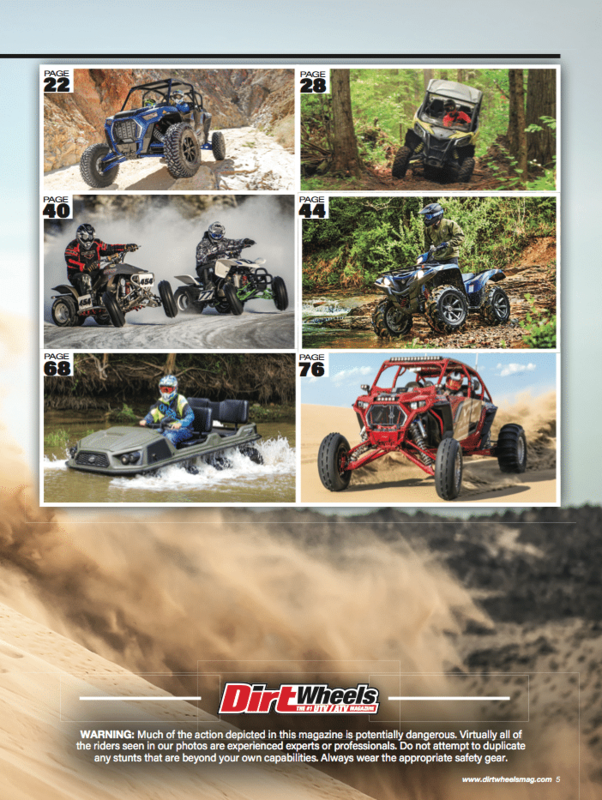 It also has a test of a 450 horsepower RZR, Can-Am Sport 1000, Argo 8-wheeler and more. 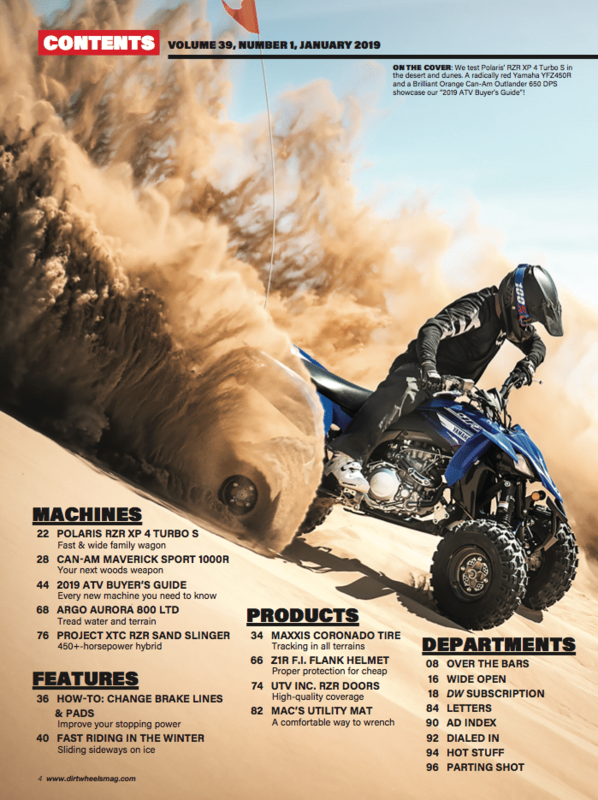 You’ll also learn how to change your brake lines and brake pads, and how to go ice racing.